In a 2015 presentation to Google, Harvard psychology professor and New York Times best-selling author, Dr. Daniel Goleman told executives that the best way to improve the performance of employees was through the development of Emotional and Social Intelligence. Goleman told Google that contemplative meditation practices would significantly help build employee Emotional and Social Intelligence. What happens when emotional intelligence training programs are offered in organizations? Awareness and understanding of emotion improved business decision making by 58% (Yip & Côté, 2013). “One of the most overlooked aspects of the resilience skill set is the ability to cultivate compassion. Compassion training programs such as the one offered by Stanford University’s Center for Compassion, Altruism and Research in Education (CCARE) have demonstrated that compassion cultivation practices increase happiness and well-being and decrease stress. 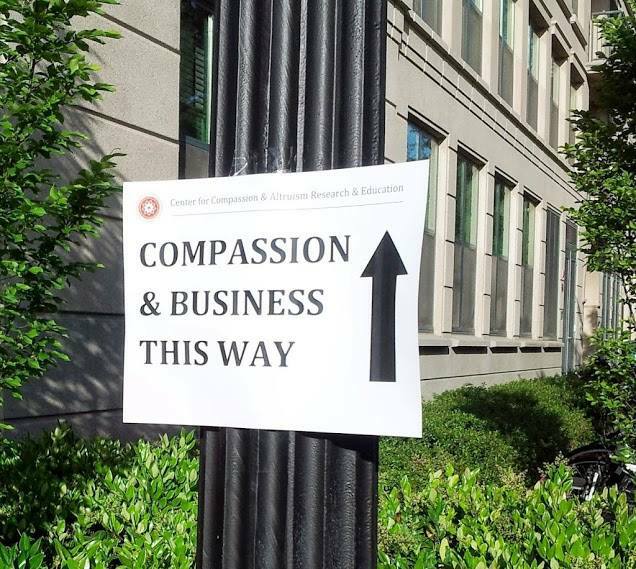 Compassion and business effectiveness are not mutually exclusive. Rather, individual, team and organizational success rely on a compassionate work culture. Finally, it is now possible to conclude that a broad set of skills and behaviors that enable resilience in the workplace are a good return on investment. In a study published by PwC in 2014, initiatives and programs that fostered a resilient and mentally healthy workplace returned $2.30 for every dollar spent — with the return coming in the form of lower health care costs, higher productivity, lower absenteeism and decreased turnover. The ability to build resilience is a skill that will serve you well in an increasingly stressful work world. And companies stand to benefit from a more resilient workforce. Click here to read even more about compassion in the workplace!